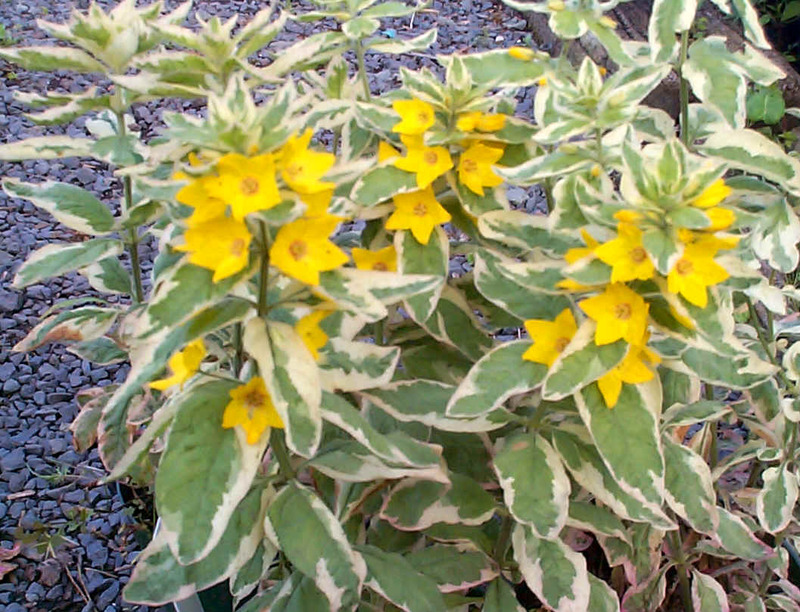 Lysmachia "Alexander" is a fairly new variegated form of Circle Flower. The new growth emerges with a pink tinge and the bright green leaves are edged with a white band. The golden yellow flowers show in summer. It is hardy in zones 4-8. Reaching 2', it is fairly shade tolerant and likes a moist area.